A quick riddle: What do you call a smartwatch that is neither smart nor a watch? Answer: A Kreyos Meteor. In the two weeks I used it, I struggled with “smart” software so buggy that the Kreyos Meteor rarely communicated with my smartphone and a “watch” that sometimes didn’t even display the correct time. Sure, the jokes come easily. What is harder to know is whether the reason is the faulty product itself or unrealistic expectations. 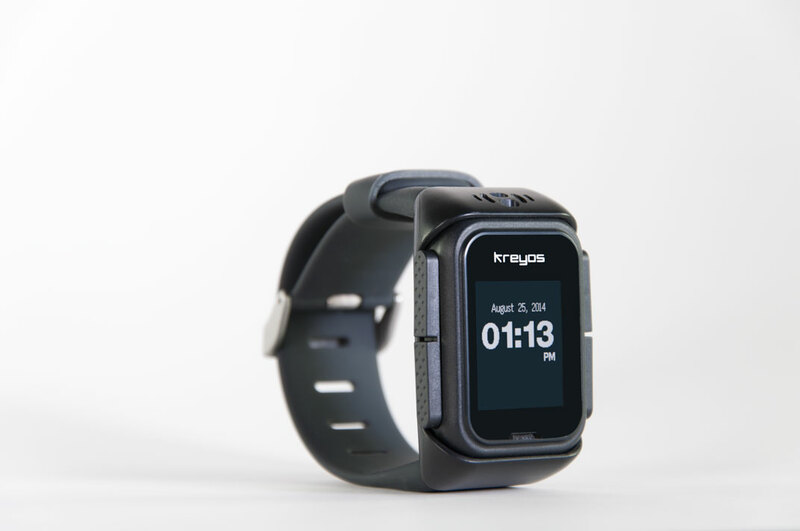 A little over a year after the Pebble $10M Kickstarter campaign came on the scene, the Kreyos Indiegogo campaign raised $1.5M and promised to do what Pebble did, but with some important additional features. 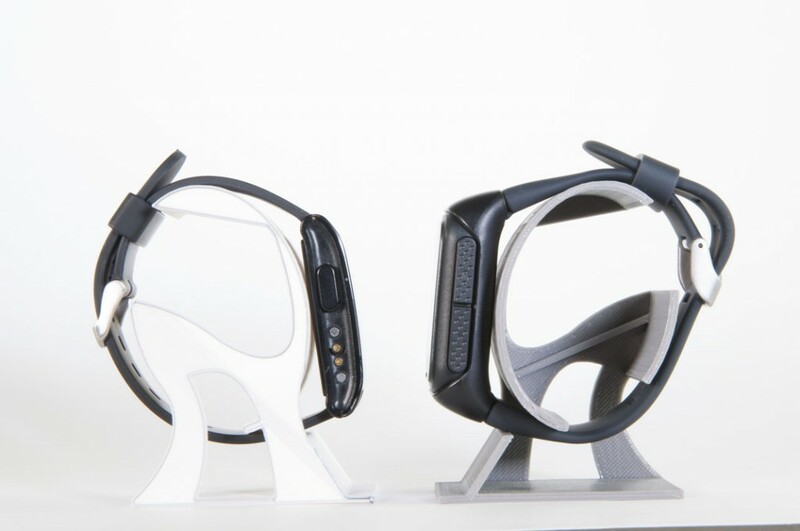 It would include voice and gesture control (somewhat like the Martian watch I reviewed last year) as well as sports-mode features like counting steps and communicating with ANT/ANT+ devices such as heart rate monitors. It was going to sell for $169, but as a campaign supporter, I paid only $129. I finally got mine in August, about nine months after its originally promised delivery date. Unfortunately, delays have become a fairly standard part of my crowdfunding experience. The watch is a little bulky, probably as a consequence of its ability to easily pop out of the watchband and into a lanyard or belt clip. Shown next to the Pebble, you can see that the screen is similar in size, but the device itself is noticeably thicker. Right out of the box, the device seemed a little quirky, but I was hopeful for the first few days. After all, lots of devices have software glitches initially. Indeed, the Pebble took quite a while before it reached the point where I came to really like it. Even now, the Pebble still has some issues. The basic functions of the Meteor are similar to those provided by the Pebble. You can select the watch face you want from a variety of different analog or digital ones. Texts, calls, appointments, and emails can be displayed on the device, and a sound or vibration can notify you of incoming information as well. 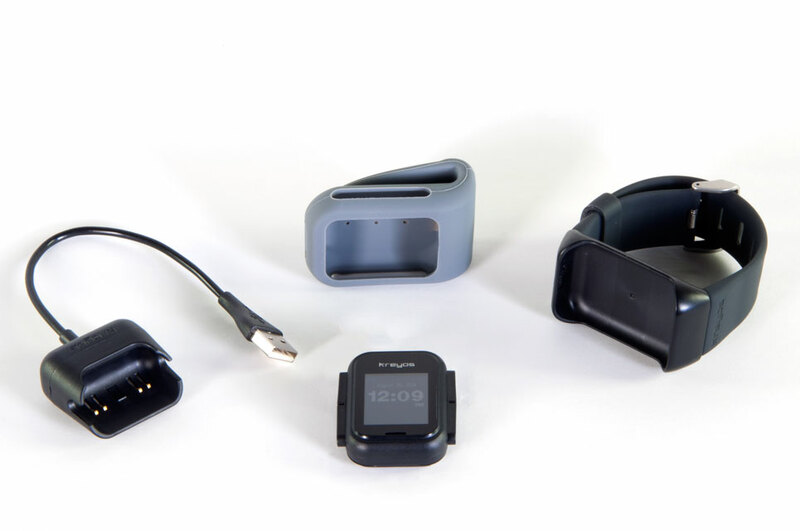 The Meteor also has the ability to detect motion and can use that to count your steps like a Jawbone UP or FitBit. There are lots of menus on the Meteor. The four buttons (two on each side) allow you to move up and down the menus and either select an item or pop up a level. While that seems straightforward, I found it harder to navigate than the Pebble. Part of the issue is badly designed menus. For example, putting the watch face selection near the end of the list is a hassle. This is especially annoying when the Meteor does not remember your chosen watch face and you often have to navigate back to the one you like. Some users have reported that the Meteor is not waterproof as it claims, but I at least had no issues with that, as I was able to wear mine with no problems in a hot tub. The Kreyos iPhone app includes a smattering of the usual features for both smartwatches and exercise trackers. There seems to be a decent bit missing, and what is there is buggy. 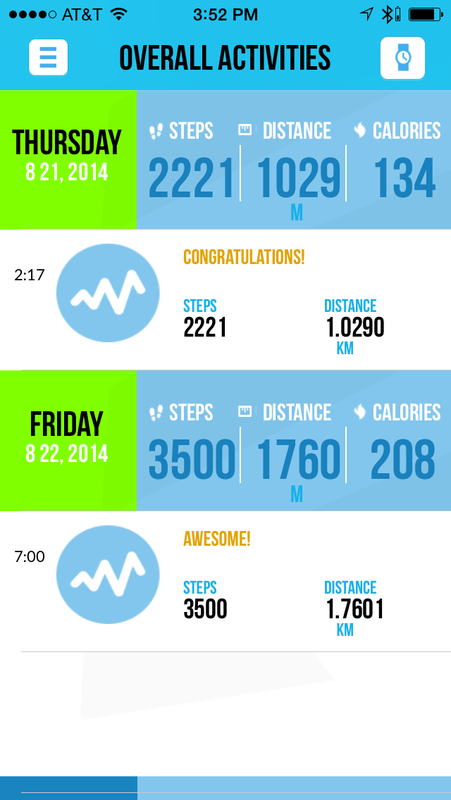 For example, the two days worth of step data in this screenshot are all that the app displayed after a full week of wearing the Meteor. I have no idea what happened to the other days. Other problems I ran into soon made me forget about these smaller issues. I was so frustrated, I never got around to trying the gesture or voice control. From the beginning, the Meteor lost its Bluetooth connection so frequently that I could not rely on it at all to give me texts, calls, or appointments. The early Pebble had similar issues, but not nearly so severely. I kept wearing the Meteor because it was measuring my steps, at least some of the time, and it did work as a watch. Then, the Meteor stopped correctly telling the time–in three completely different ways. The first time it stopped telling time accurately was when the power ran out in between two and three days, rather than the promised “at least 7 days of battery life” per full charge. After recharging it and turning it back on, the date and time were totally wrong (not the date and time it had lost power, but rather April 1—make your own joke). After I re-paired it with my phone, the date and time corrected themselves. That was annoying, but I at least considered it my fault. Next, when I paired my watch with another Bluetooth device, the Meteor acted like a jilted lover and would not give me the correct date and time until I re-paired it. Again, I figured that I don’t pair new devices very often, so I could live with this. Finally, the Meteor just stopped one night at 8:44pm because it felt like it. It was hard hung. Nothing I tried could get it to change the time or even respond. I tried resetting it by holding the four buttons down, but no matter how long I tried, nothing happened. I eventually plugged it into the charger and tricked it into starting back up. The time finally went to 8:45pm. When I re-paired it with my phone, it displayed the correct time. This happened another time, while I was looking at the Meteor; it was taunting me. I saw its screen flashing through lots of different watch faces before finally freezing the date and time, of course on a watch face other than my chosen one. At that point, I had had enough. My Meteor experiment was too frustrating to continue. So, what to do with a smartwatch that is not smart very often and can’t even be relied on to tell the time? Others have suggested solutions like using it as a gnomon for a sundial, a doorstop, a paperweight, a “stopwatch,” etc. I was going to quote some online suggestions, but they mostly include curse words. I normally try to use products for a month or more before writing a review, but I just cannot bring myself to do so here. Instead what I’m going to do with my underachieving-watch is put it aside and wait for a few rounds of software updates. Maybe then, it will live up to its promise. For now, however, I cannot subject myself to the Kreyos Meteor any longer. Nor can I recommend it to anyone else.